In many of our recipes you can see a special ingredient – ghee. But what is it really? Ghee is pure butterfat or clarified butter from cow or buffalo milk – without impurities, water and milk solids. Butter may have an accidental origin through nomadic horsemen of Central Asia. Ghee, on the other hand, was a culinary innovation in ancient India to prevent butter from spoiling in hot weather. The history of ghee dates back at least 4000 years. In Hindu culture, this delicious, yellow-colored liquid is food fit for the gods. Ayurveda, Indian medicinal system, classifies pure ghee from cow butter as sattvic food and uses it in many healing formulations. Outside southern Asia, versions of ghee are found in Egypt, Fiji, Malaysia, Ethiopia, North Africa, north-east Brazil, Eritrea, Switzerland, Austria, Germany and Japan. Why ghee is better than butter and other oils? Refined vegetable and seed oils are high in Omega-6 fats and trans-fats, oxidise at room temperatures, and account for a lot of chronic illnesses. Ghee scores over these oils. Ghee has other benefits that sets it apart from butter or healthy oils like olive, avocado and coconut oils. Ghee is casein and lactose free – as milk solids are separated in the refining process. While butter is not suitable for the lactose-sensitive or -intolerant, ghee is a safer fat option. Ghee promotes good gut-bacteria – it contains butyrates which makes it an alkaline food. These short-chained fats prevent acid reflux, aid digestion, and encourage growth of healthy gut bacteria. Ayurveda advocates use of ghee for ulcers and constipation. Ghee can boost metabolism – it is full of medium-chain fatty acids that boost metabolic rates. These fatty acids don’t raise cholesterol levels, unlike fatty acids in other oils. Ghee may protect against cancer and help in weight loss – Conjugated linoleic acid (CLA) is a double-bond fatty acid found in beef and dairy products like ghee. Unlike single-chain linoleic acid present in vegetable oils which are harmful, CLA offers protection from cancer, inflammation, type 2 diabetes, heart disease, osteoporosis, food allergies, and asthma. Studies have shown that CLA can help burn calories, regulate appetite and lose weight. 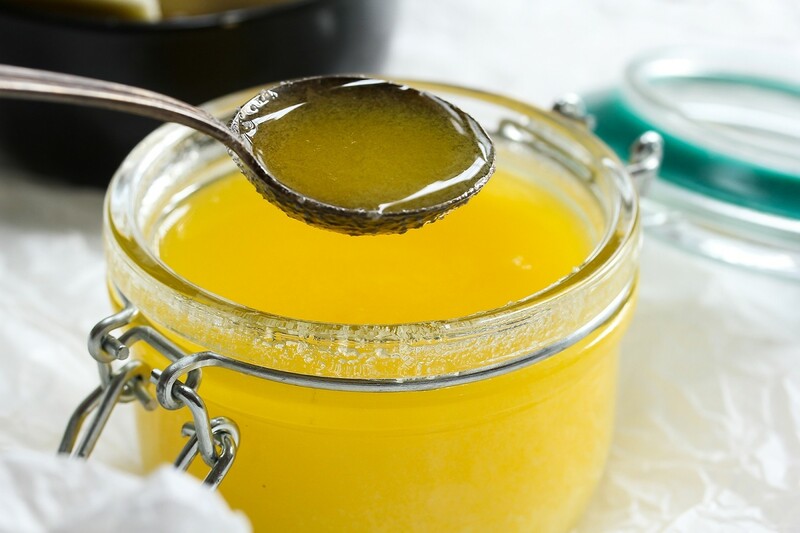 Ghee is rich in vitamins and minerals – it is rich in fat-soluble vitamins A, E and K.
Ghee produces lower amounts of Acrylamide – When refined oils and animal fats are heated beyond 180°C, they produce more of this toxic compound – a possible carcinogen. Ghee has a high smoke point – of 250°C (485°F) whereas butter starts breaking down at 175°C (350°F). This makes it suitable for deep frying. Most other oils have a much lower smoke point. Superior ghee is made from grass-fed cows and buffaloes. Cow butter gives ghee a rich golden colour, while buffalo milk lends a creamy hue. For gastronomic reasons or as a health-conscious decision, Ghee is a ‘must-have’ ingredient in your kitchen. You can easily create it by yourself following our recipe: How to make ghee at home. 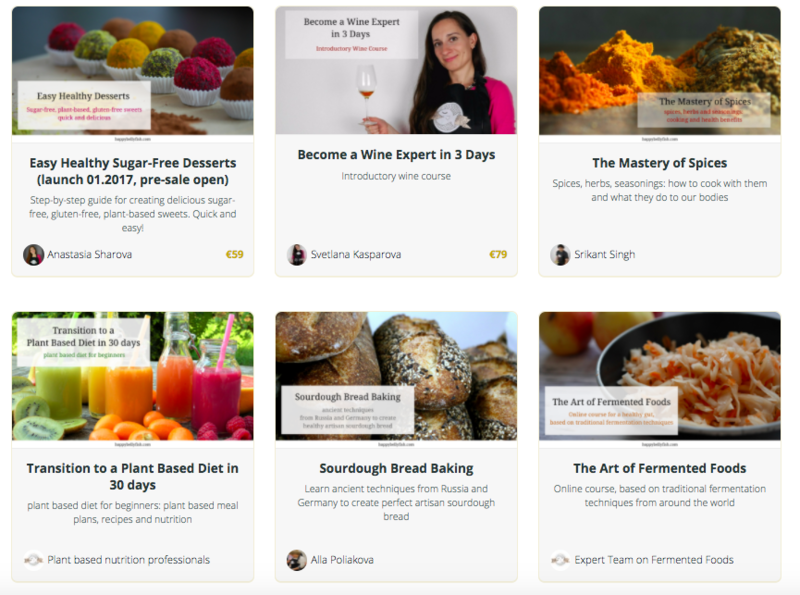 Enjoy using ghee for all the healthy recipes you like!